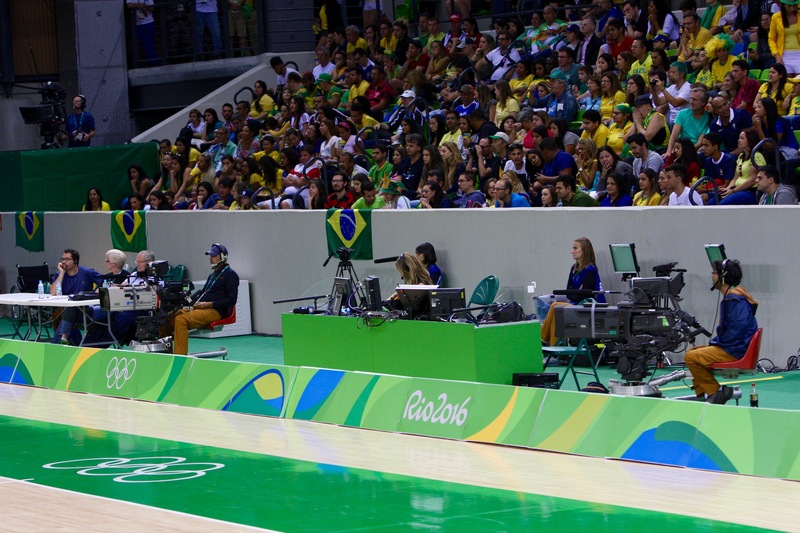 The Sports Video Group team was on hand at the 2016 Rio Olympics for 20 days, and we used much of that time shooting photos and videos behind the scenes of as many events as possible. There are probably very few people (if any) who managed to visit every site and see almost every sport during the Games, but we did our best. For a complete listing of our photo galleries, please read on. The second week of the Rio Olympics shifts much of the focus out to the Olympic Stadium, home of the athletics (aka track and field events). There are plenty of different types of events that require plenty of different approaches to camera placement and operations. Plans include using 33 cameras on the integrated track, 14 cameras for high jump, 12 cameras for pole vault, 13 cameras for shot put, 14 cameras for discus and hammer, 13 cameras for long and triple jump. 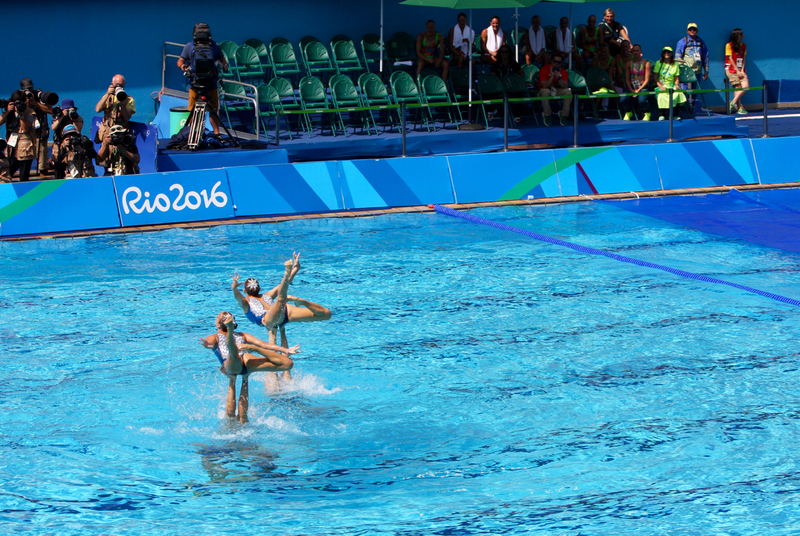 One of the more unusual aspects of the Rio Olympics is that swimming and diving do not share a venue. 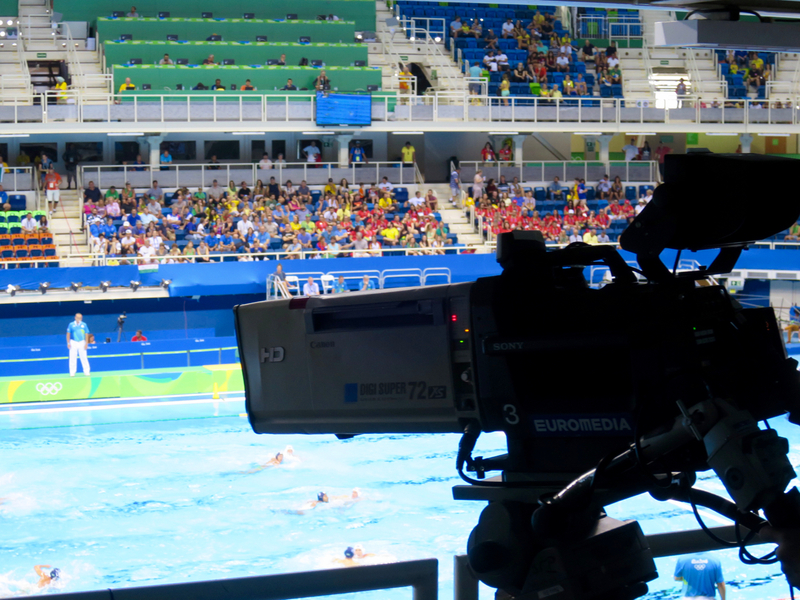 Olympic Aquatics Stadium, located at the Olympic Park in Barra, provides plenty of great camera positions for a series of events that captures the attention of fans everywhere. 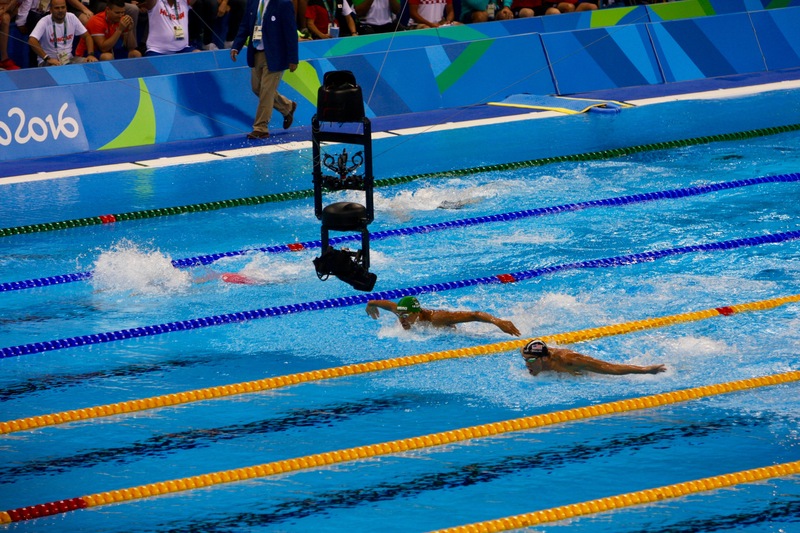 The competition is fierce, the personalities are global superstars, and the technology used to capture the events delivers stunning images from a wide variety of interesting and often wet angles. What’s that? 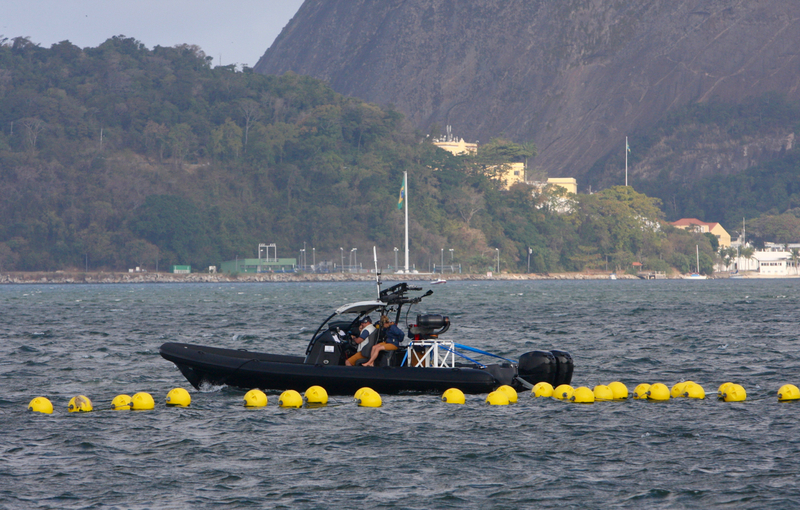 An Olympic venue on Copacabana Beach? 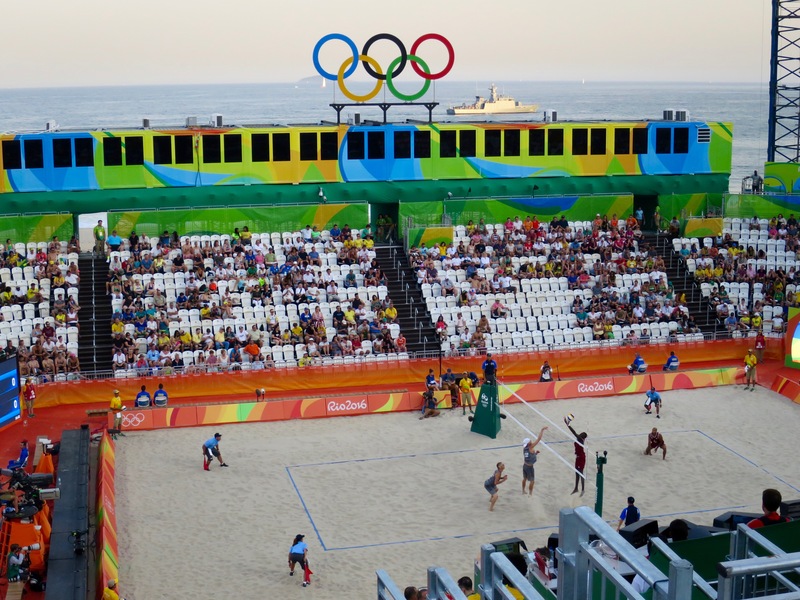 Seriously, when the world learned that Rio had won the Olympic games the opportunity to see Olympic Beach Volleyball on the most famous beach in the world suddenly became one of the “must see” events. It’s also one of the more lively Olympic venues with public address announcing befitting a sport known for a laid back intensity: funny, breezy, and informative. And there are plenty of camera angles as well! 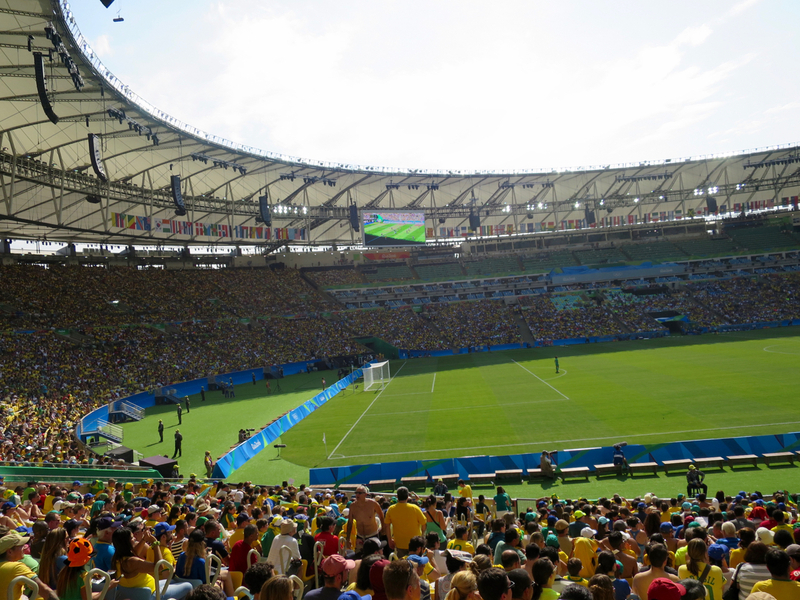 Deodoro Stadium was home to the debut of rugby sevens as an Olympic sport. 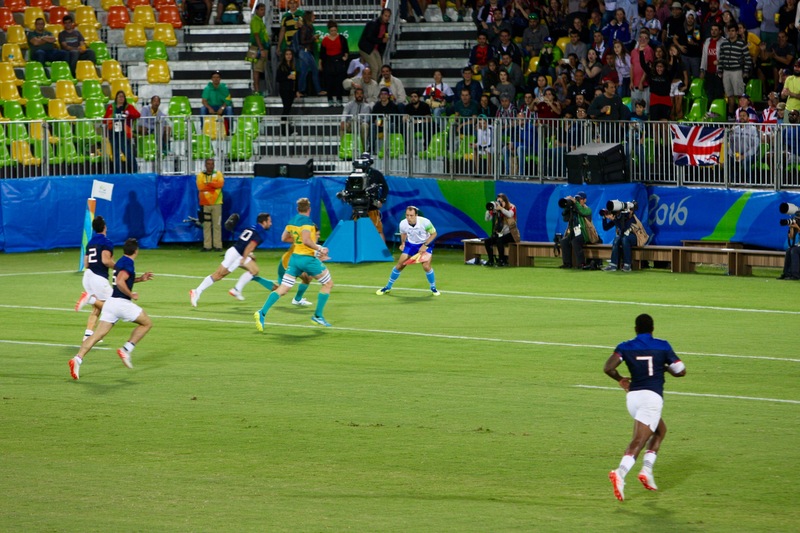 Although the 15-player version of the sport appeared at the Olympic Games between 1900 and 1924, Rio 2016 marks the debut of rugby sevens, a faster, shorter adaptation. Bravery, skill, and speed were in abundance in the men’s and women’s tournaments. 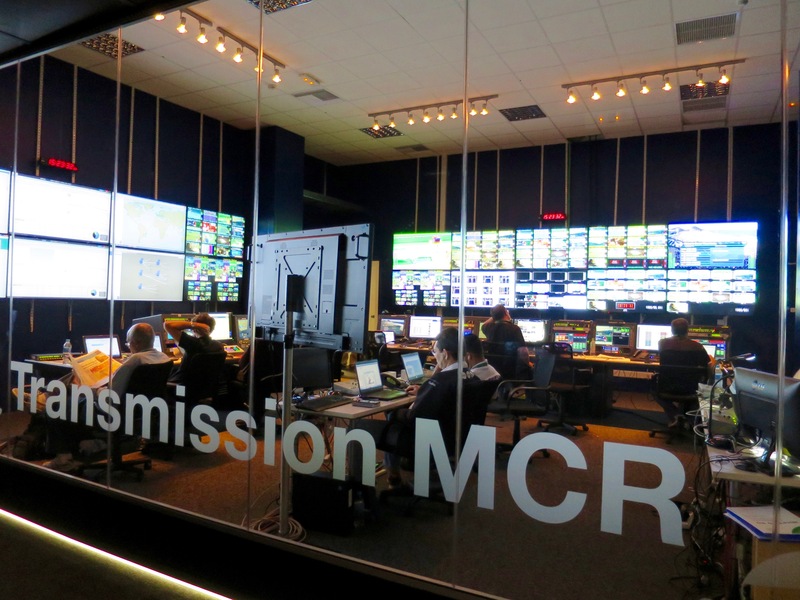 Rugby sevens coverage at the Olympics made use of 14 cameras and included members of the Sky New Zealand production team. 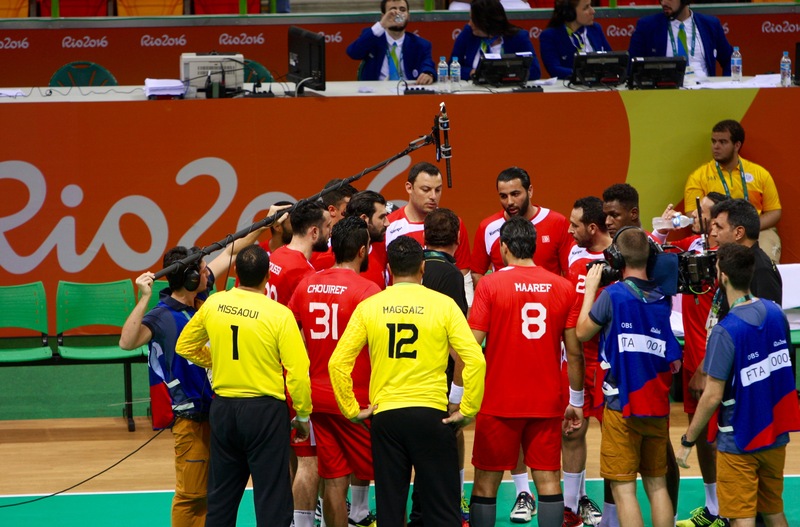 Handball is tactical, skillful, and fiercely contested with goals galore. 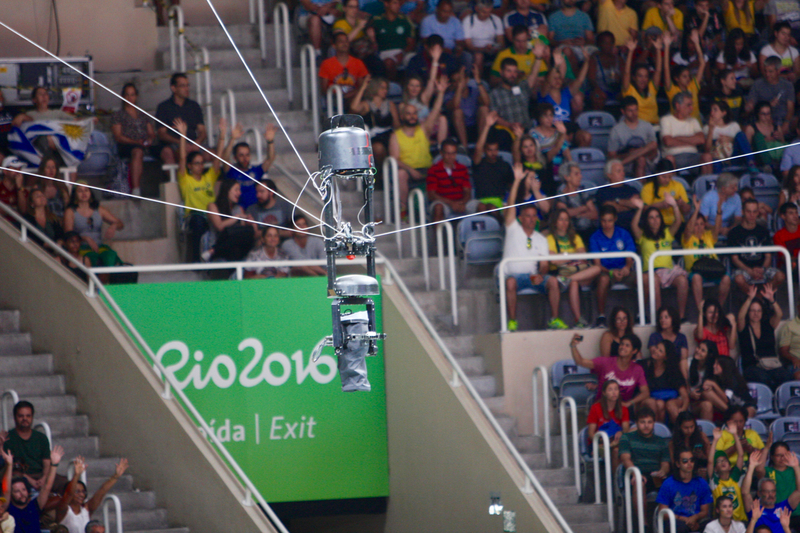 This event is taking place in the FTA Future Arena within Barra Olympic Park, with coverage provided by 17 cameras. Jabs, crosses, uppercuts: a single punch can make all the difference in boxing. The sport made its Olympic debut at the 1904 St Louis Games, and women entered the fray at London 2012. 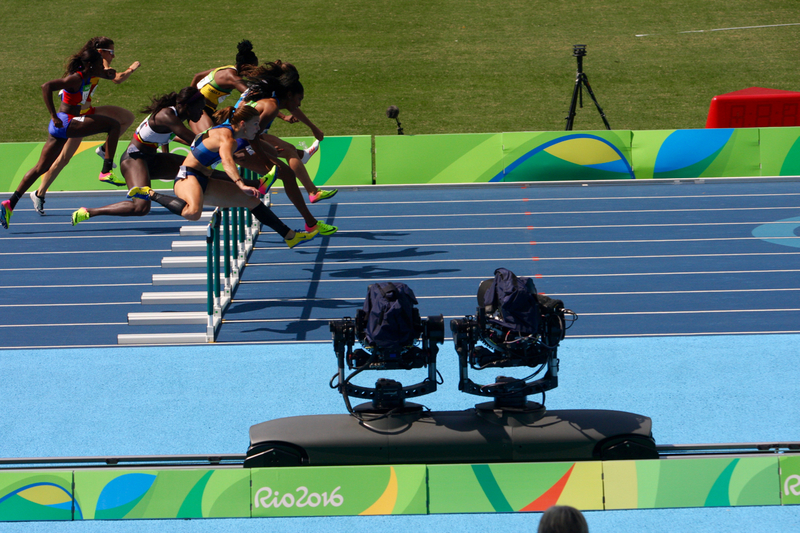 At Rio 2016, there are 13 categories, 10 for men and three for women. 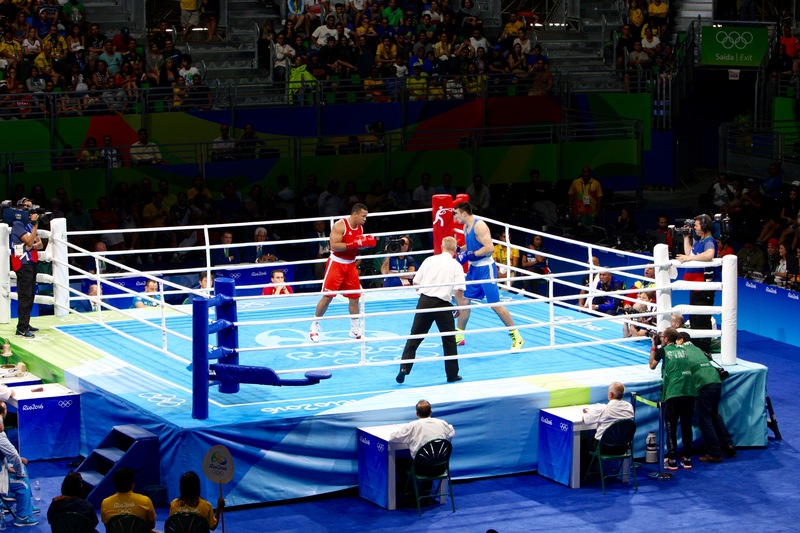 The pictures here are from Riocentro Pavilion 6, where the fights were held. There was also 360 VR content coverage during the bantam and lightweight prelims. 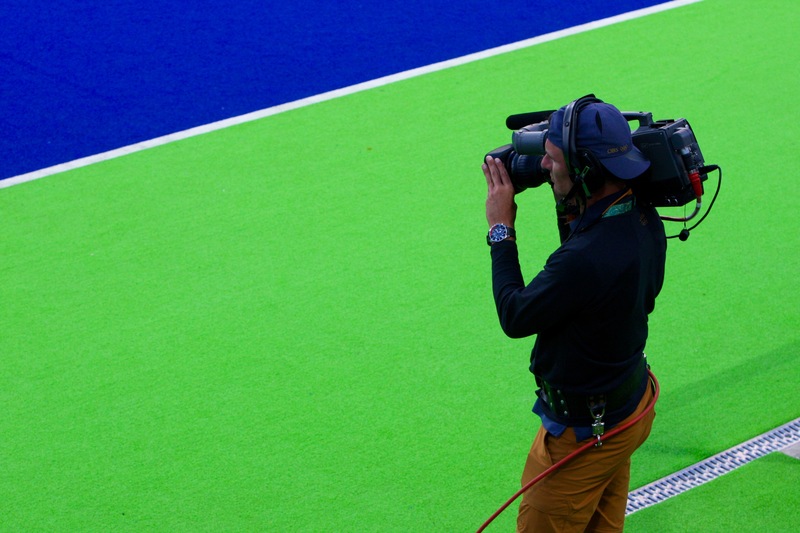 Cameras include two RF handhelds, one high-speed super-slo-mo handheld, five hard cameras, one robotic, and two robotic cameras in the warm-up area. 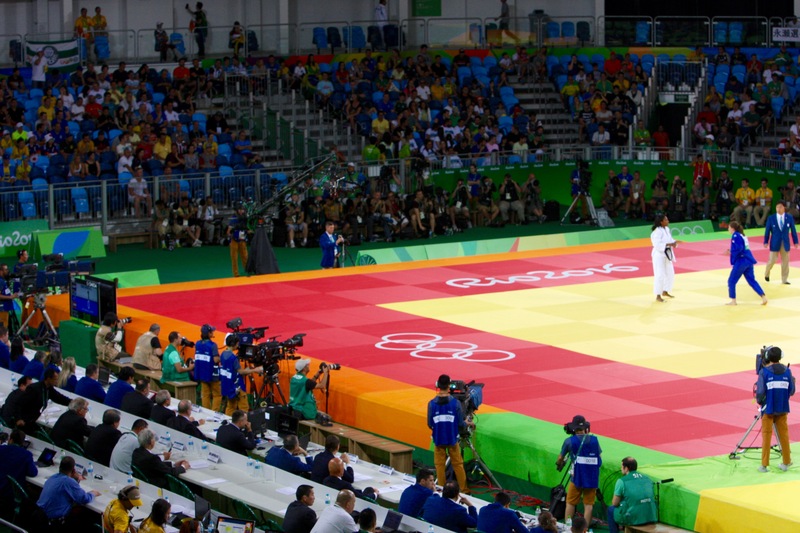 Judo is a dynamic combat sport that demands both physical prowess and great mental discipline. From a standing position, it involves techniques that allow you to lift and throw your opponent onto their back. On the ground, it includes techniques that allow you to pin your opponent to the ground, control them, and apply various choke holds or joint locks until submission. 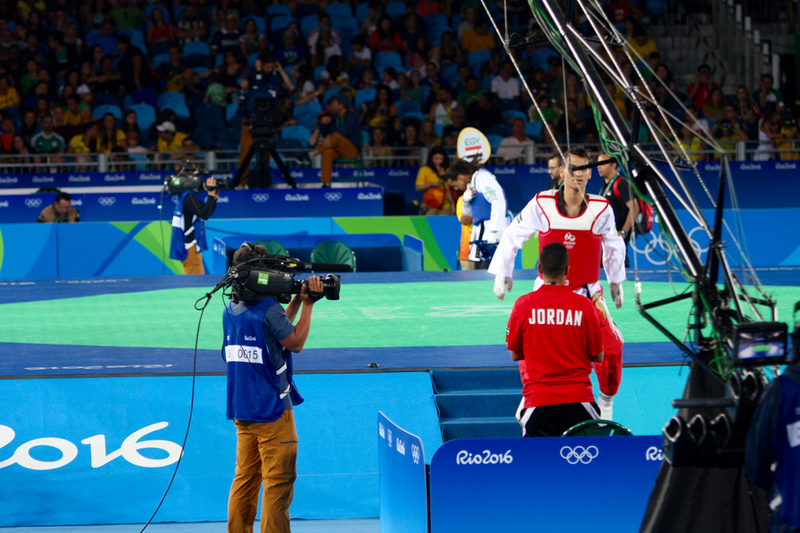 With two matches going on simultaneously, there is plenty of camerawork at any one moment. 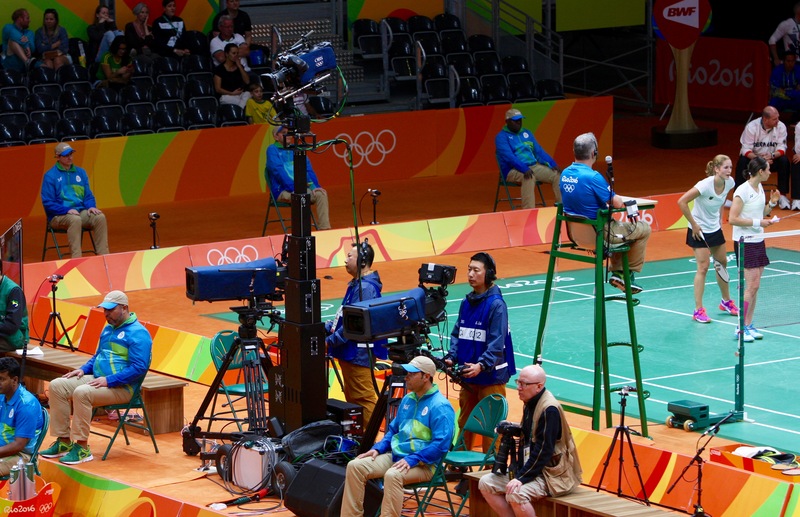 Each match features seven hard cameras, two RF cameras, and a jib camera, and there are two additional RF cameras and two robotic beauty cameras. 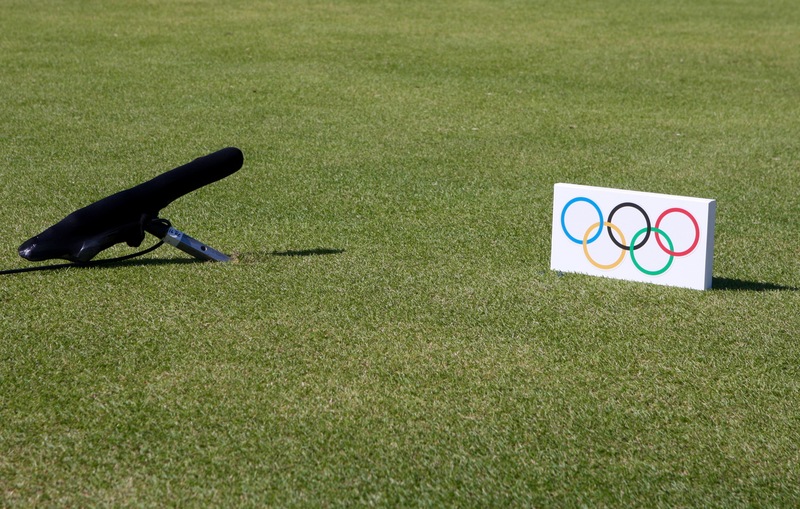 A supreme test of accuracy, shooting made its Olympics debut at Athens 1896, the first Games of the modern era. 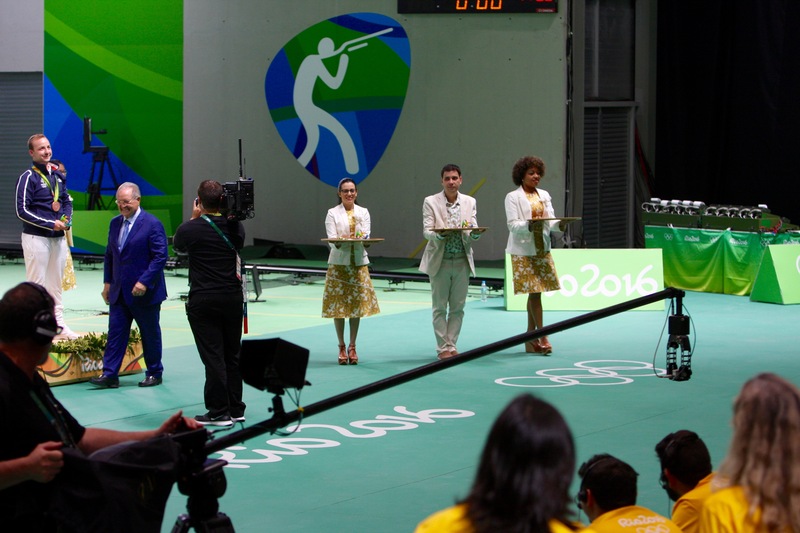 At Rio 2016, there are nine men’s and six women’s shooting events, all individual. Camera coverage comprises three hard cameras, a high-speed super-slo-mo camera, five robotic cameras, two handhelds, and a jib. 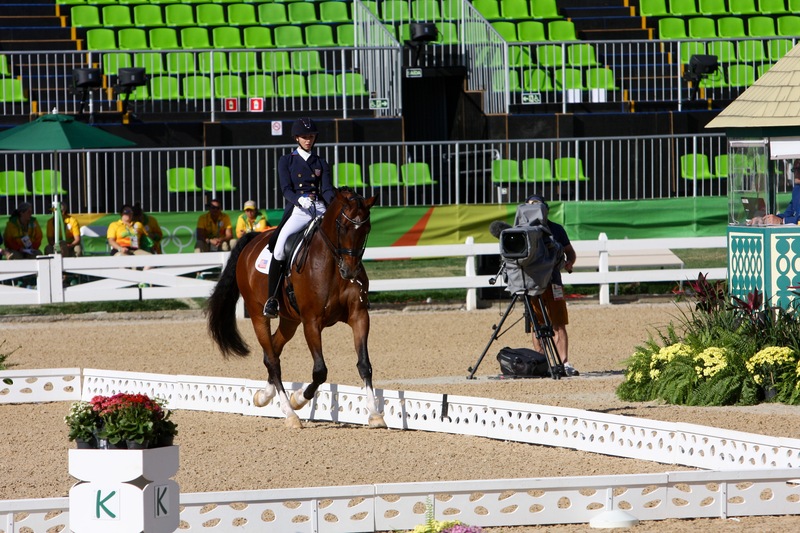 The only Olympic sport in which men and women compete against each other, equestrian has three disciplines: eventing, dressage, and jumping — each with both individual and team competitors. The camera coverage includes 16 cameras, five of which are super-slo-mo–capable.